← 390 "Little Big Girl"
Springfield Up is the thirteenth episode of the eighteenth season. It originally aired on February 18, 2007. "Declan Desmond films a documentary about the lives of people of Springfield and how they changed over the years. Homer makes him believe he is rich, but he actually took Burns' manor while Mr. Burns was out." Eccentric documentary filmmaker Declan Desmond offers an inside look at his work chronicling some of Springfield's finest for his documentary. 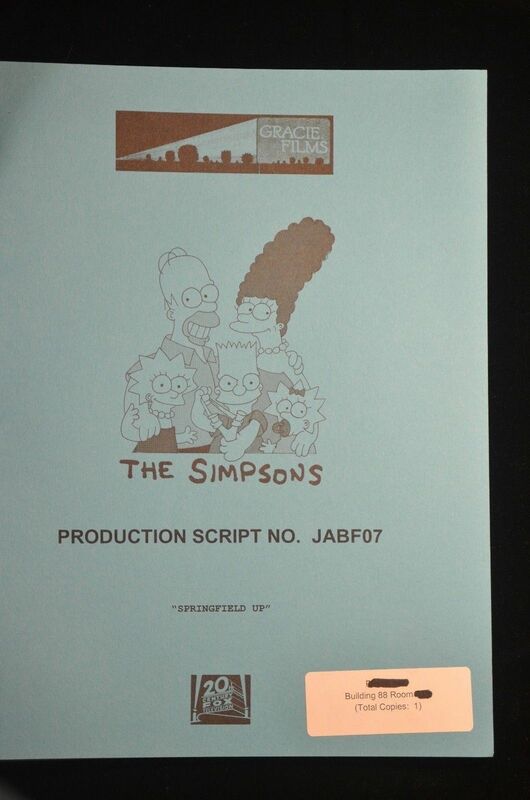 Titled "Growing Up Springfield", his film follows the lives of several Springfield residents, returning to them after eight-year intervals to examine how their lives have changed (except Lenny, whom he found to be boring and stopped filming after the first interview). Clips from the film show a young Homer dreaming of growing up to be rich and famous. Eight years later, Homer is dating Marge but dreaming of being a rock star. After the next eight year interval, Homer has given up on his dreams of fame and fortune to support his growing family. However, when Declan Desmond returns in the present day, he discovers that Homer has become extraordinarily wealthy, and the family is living in a mansion. Homer confesses that his story of wealth and success was a lie. Declan begins to follow him around, wanting to find out why Homer felt the need to lie. When he finally gets Homer on camera, Homer explains that he wanted to feel like a success instead of "the guy who makes everyone else look good." Marge tells Declan off for hurting Homer's feelings and orders him to stay away. Declan suddenly begins to feel sorry for Homer and decides to make a new movie. He puts together footage of Homer's friends and family talking about what a good friend, husband and father he is. Homer sees the new movie and realizes that he is successful after all. 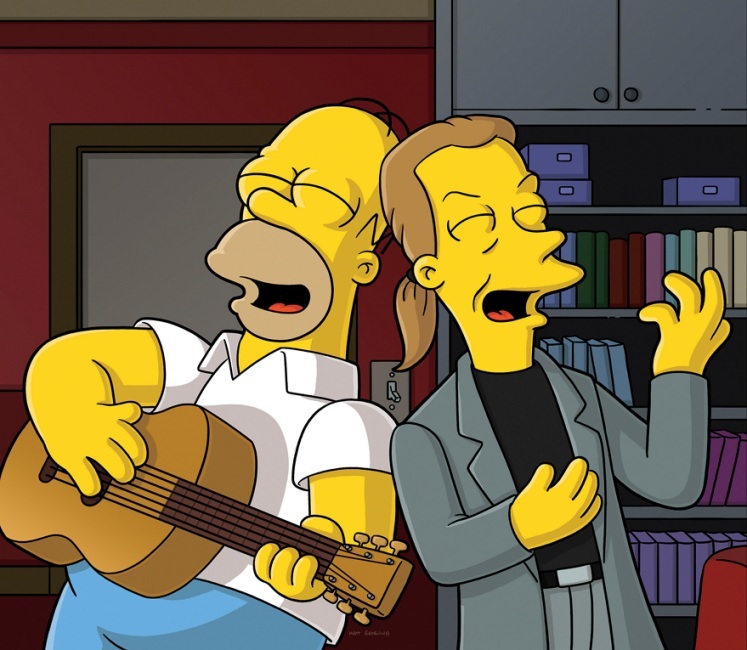 Robert Canning named "Springfield Up" as one of the three "outstanding" episodes of the eighteenth season.